Baked Ziti is one of my families favorite meals. 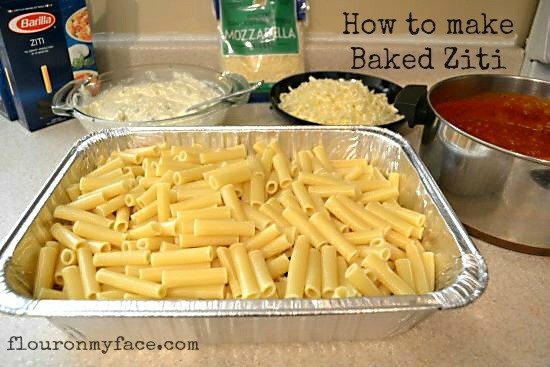 This How To Make Baked Ziti recipe is how I make baked zZiti when I am planning a big family diiner. This tray will feed a crowd. Everyone in the family loves it…..except for my husband. He does not like ricotta cheese! I don’t know what his problem is when it comes to ricotta cheese but even when I make homemade sausage lasagna for the family I have to make a smaller separate tray just for him without the ricotta cheese. How boring is that! Ricotta cheese is the second best part of baked ziti or lasagna. Mozzarella cheese is of course the best ingredient. My husband is a difficult man to feed. And he wonders why our children are picky eaters. The grand kids are picky eaters also but even they love when I make a big tray of Baked Ziti. 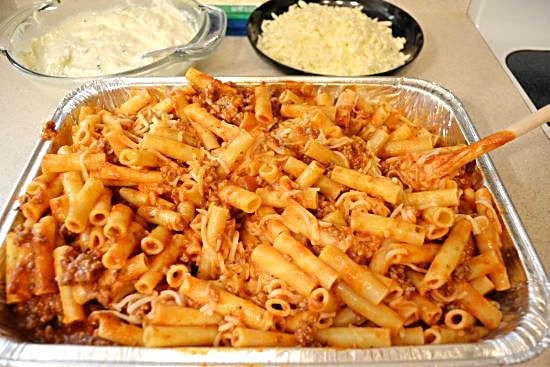 Here is what you will need to make a big tray of Baked Ziti that will feed a crowd of 6 adults and three or four children with some left overs for the lunch the next day. 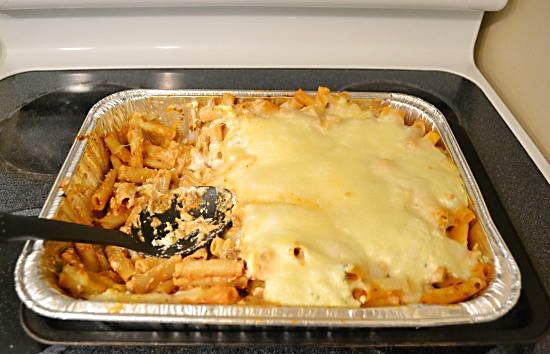 This baked ziti recipe would also make a great freezer meal. 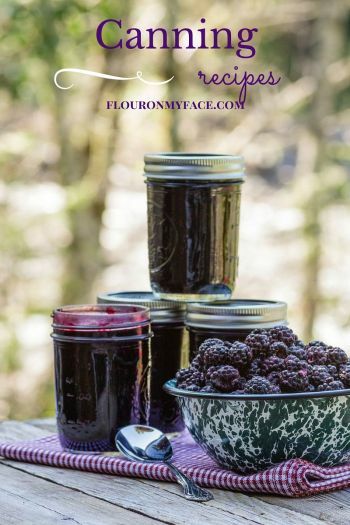 Simply make it the same way but when it is done baking cool and then cut into individual servings and freeze in a container or zip lock bag. 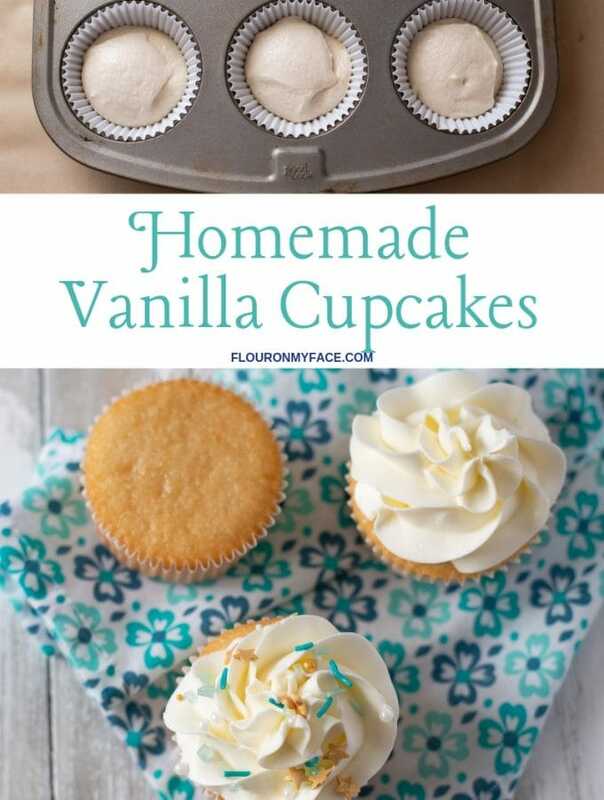 Be sure to remove most of the air to prevent freezer burn. Beat the egg in a bowl. 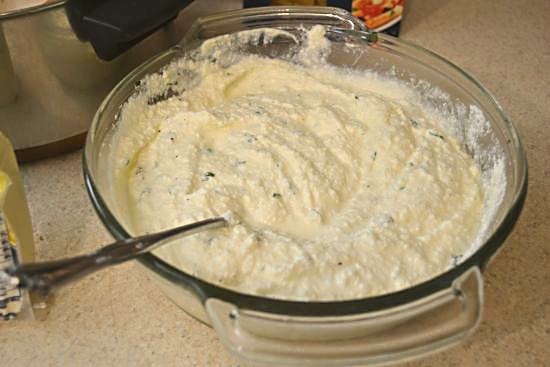 Add the entire container of ricotta cheese, 1/2 teaspoon of salt, 1/4 teaspoon of pepper and 1-2 teaspoons of chopped parsley. 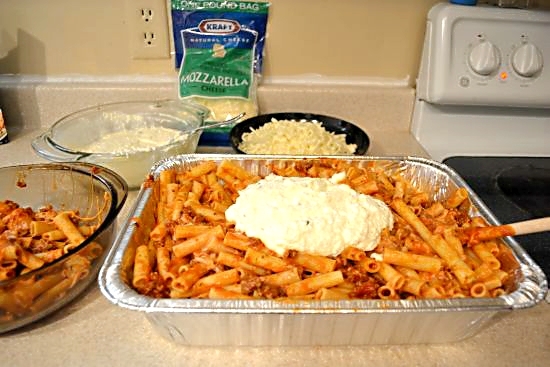 Cover and refrigerate the ricotta mixture until you’re ready to assemble the baked ziti. Brown the ground beef, drain well and return to pot. 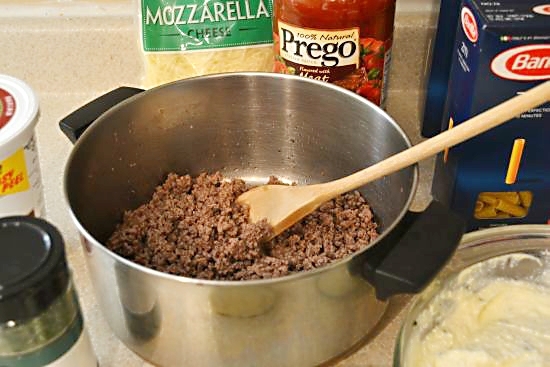 Open the jar and pour the sauce into the pot with the cooked ground beef, stir and heat. 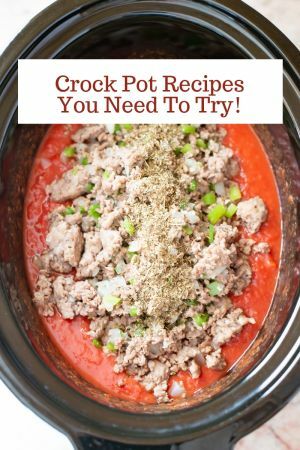 Simmer on low until all your ingredients are ready. If you’d like to add a little extra seasoning or parmesan cheese as I sometimes do add it now while you are heating the sauce. If you like homemade sauce better than jarred you of course can substitute it for the jarred sauce..
Cook the ziti noodles per the box instructions. While the pasta is cooking grate the block of cheese. When the pasta is cooked el dente drain it well and pour into a large baking pan. Add the sauce to the pasta and stir. Add 2/3 of the pre-shredded mozzarella cheese and stir well. If your husband is picky like mine and doesn’t like ricotta cheese take some of the ziti out of the pan at this point and put it into a small baking dish before you add the ricotta cheese in the next step. Add 1/3 of the ricotta cheese mixture. 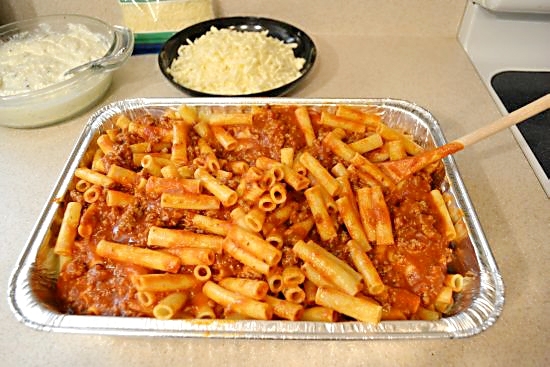 Some people like to spread an even layer of ricotta cheese over the top of the ziti. If you do then feel free to spread the ricotta cheese over the top that way. My grandmother did it this way, my mom did it this way and I have always done it this way. I do the same when I make lasagna. It really a personal preference. 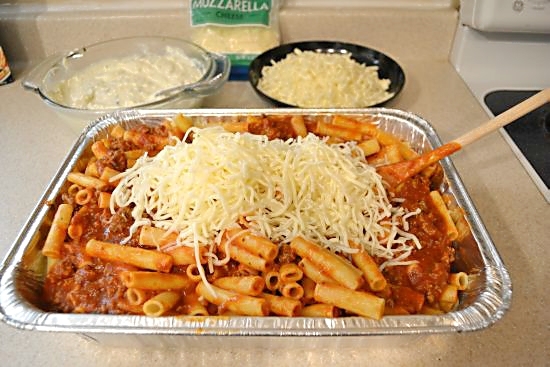 Randomly sprinkle the two different types of shredded mozzarella cheese over the top of the ziti covering as much of the ziti noodles as possible. You might be wondering why I use two different types of mozzarella cheese? Well I really love the flavor and texture of the block of fresh whole-milk mozzarella. It’s expensive though so to be able to enjoy that flavor I mix it with a cheaper mozzarella cheese. Loosely cover your tray with aluminum foil being sure to tent it over the center of the tray so the melting cheese doesn’t stick. 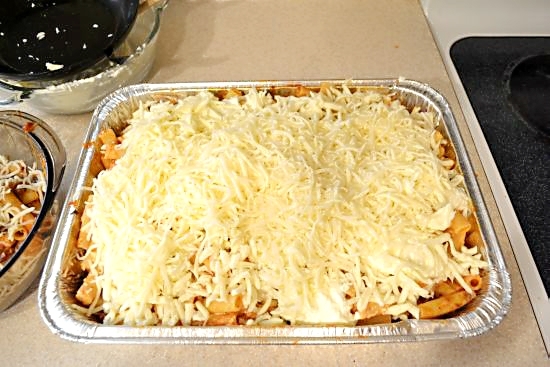 Bake it in a 375 degrees over for 30-45 minutes or until it is bubbling and the cheese is melted. How To Make Homemade Baked Ziti for a large family or a crowd. 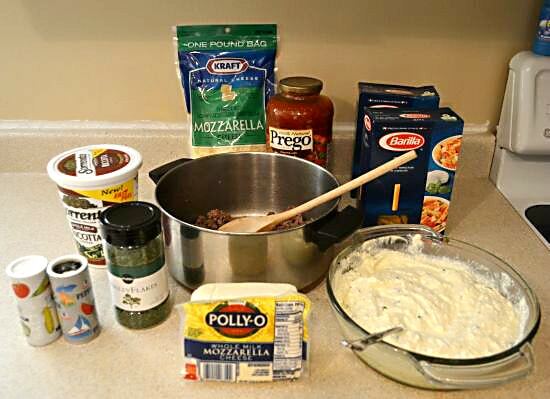 Baked Ziti is a great holiday recipe that will stretch your holiday meal budget. Beat the egg in a bowl. Add the entire container of ricotta cheese, 1/2 teaspoon of salt, 1/4 teaspoon of pepper and 1-2 teaspoons of chopped parsley. Mix well. 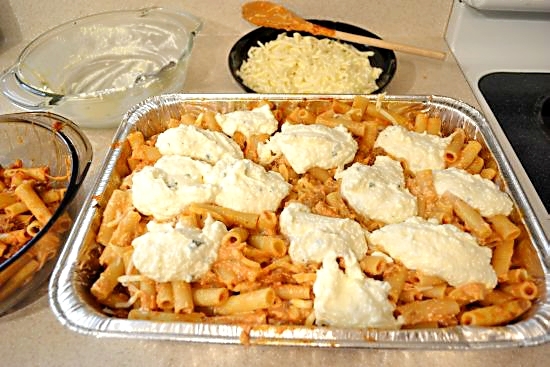 Cover and refrigerate the ricotta mixture until your ready to assemble the baked ziti. Brown the ground beef, drain well and return to the pot. seasoning or parmesan cheese as I sometimes do add it now while you are heating the sauce. Cook the ziti noodles per the box instructions. While the pasta is cooking grate the block of cheese. 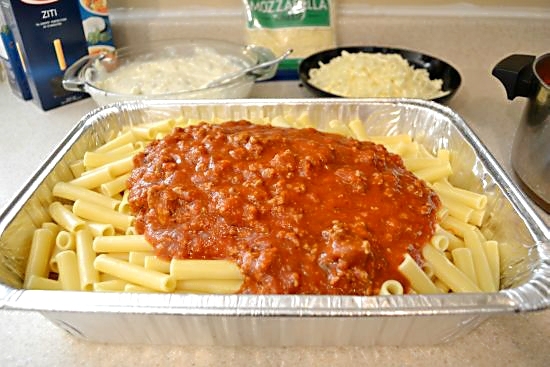 When the pasta is cooked el dente drain it well and pour into a large baking pan. Add the meat and sauce to the pasta and stir. Add 1/3 of the ricotta cheese mixture. Mix well. 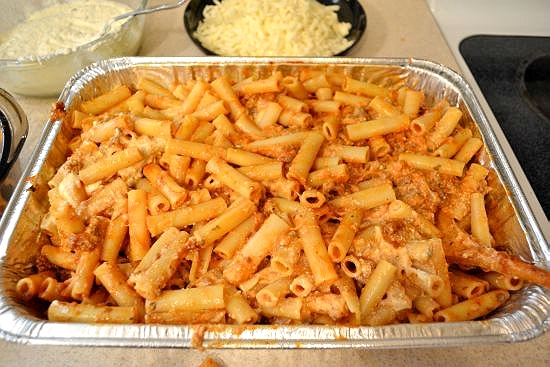 Some people like to spread an even layer of ricotta cheese over the ziti. If you do then feel free to spread the ricotta cheese over the top instead of adding the spoonfuls as I do. 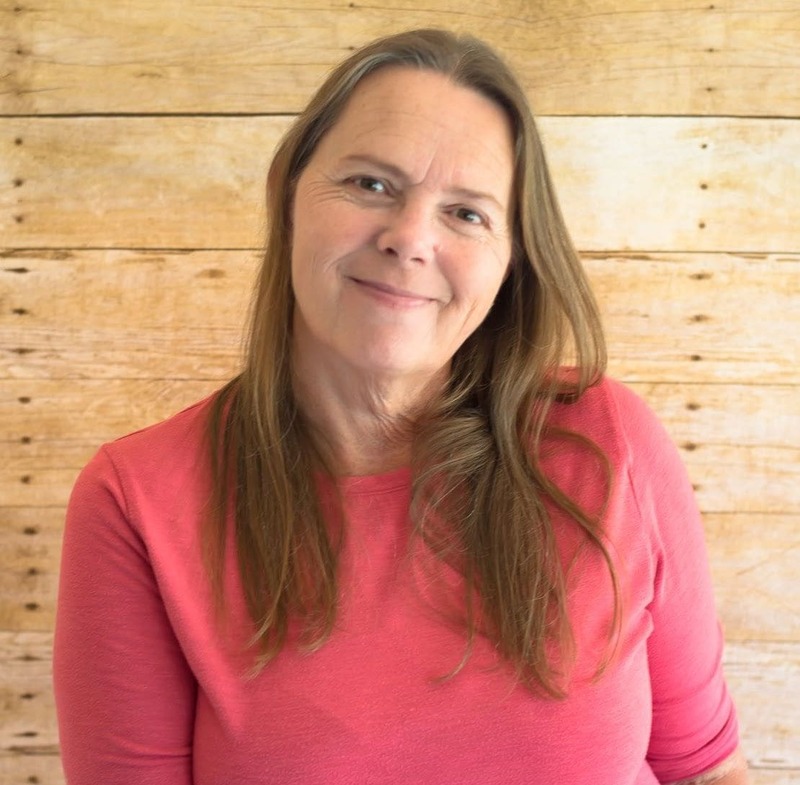 My mom did it this way and I have always done it this way. I do the same when I make lasagna. I hate ricotta also!! Like the recipe except for jarred sauce, which I think is a sin in my husbands family. I would much rather use homemade sauce also but guess what? My husband hates homemade sauce along with the ricotta. If it doesn’t come in a cardboard box or a jar from the store he won’ eat it. He drives me crazy! 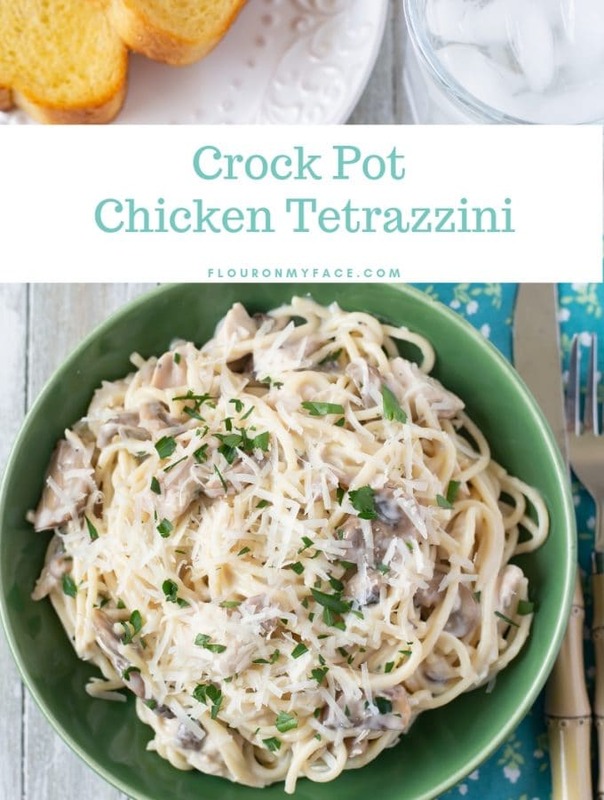 Me and my hubs don’t like the sauce, so we often skip pasta……but this looks very very good. My boys will love it. Baked ziti is always delicious. Your recipe looks great! I agree and Thank you Ravie! Your cake batter blondies look delish! This looks like a great recipe. We love making lasagna but, I ‘d love to try this sometime just to switch things up. I just tried this recipe and this is good, I’ll admit I didn’t follow it to the teeth, I used penne noodles instead of ziti and I topped it with the ricotta with mozzarella and aged Parmesan… SO GOOD!!! Thanks for trying the recipe. Thats the great thing about cooking…everyone can customize the recipe to their own liking. Oh and I added turkey sausage to it… I’m allergic to pork.still so good. I bet the turkey sausage tastes great in this ziti recipe. Am I reading correctly? 11 lb block mozzarella? Sorry for that. No it is a one pound block or ball of fresh mozzarella cheese. Enjoy! Hi!! So excited to use this recipe for my son’s christening party on Sunday. Quick question – if I wanted to prepare this and refrigerate before cooking, how many days in advanced so you think I could do that? 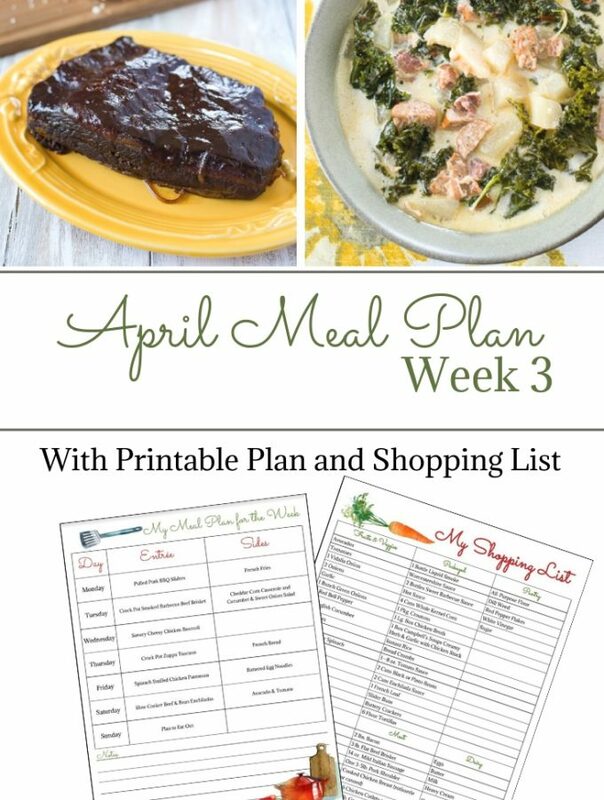 Would really love to make it on Thursday, store it and then cook on Sunday. Do you think it would be ok? I don’t have the room to freeze. I wouldn’t make it more than a day in advance. The pasta will absorb the sauce and it might be very dry.